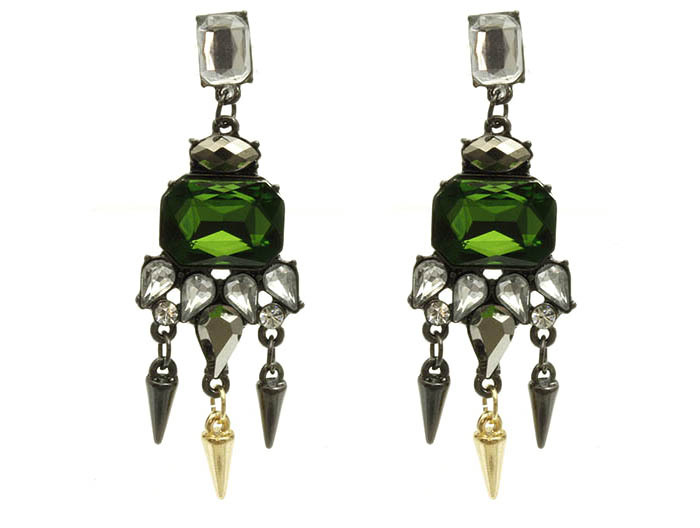 The edgiest rocks for your ears, the Delilah drop earrings make a striking statement with a kick of cool. Featuring an array of hardware, mixed metal, and faceted stones suspended from a crystal stud that provide an urban edge to your look du jour. We hope you enjoy shopping for online jewellery here with us today.